Give a man a gun, and he thinks he's a king. While a giant piece of white plastic with a Wii-mote strapped to it might not be classified as a gun, there's something strangely satisfying about arcade shooters in the realm of Time Crisis and House of the Dead. Sega's Ghost Squad for the Wii might not make you feel like a king, but there's no harm in trying. If you've visited any arcade in the past few years, you've no doubt witnessed Sega's Ghost Squad. 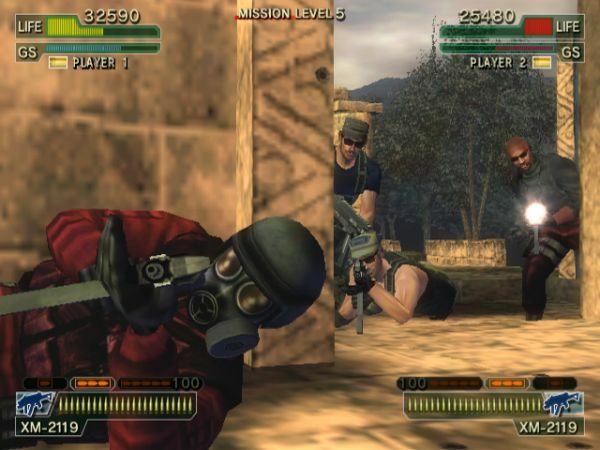 It stands out in the crowd of other light gun shooters, because unlike the other titles, Sega armed players with an assault rifle to do away with enemies. 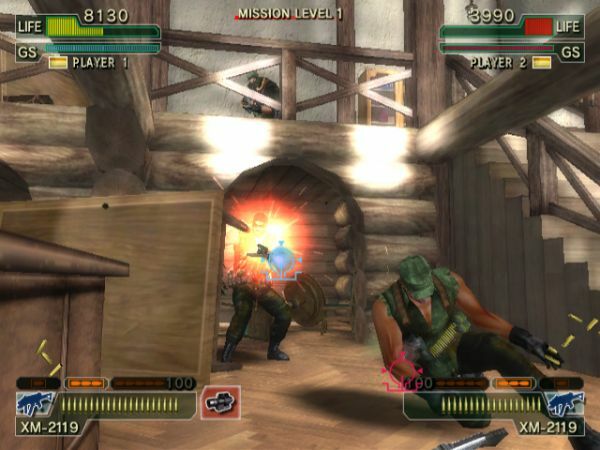 The Wii version of the game follows the arcade experience, allowing players to drop in and take on three non linear missions against the cheesiest terrorists groups since a Green Bay Packers bomb scare. The on rails shooter is a genre that seems to have almost died off, but it appears at least one system is doing a good job of keeping it on life support. With games like House of the Dead Overkill, a completely original title, the Wii is pretty much the only system to play that style game on - thanks to Wii-mote of course. 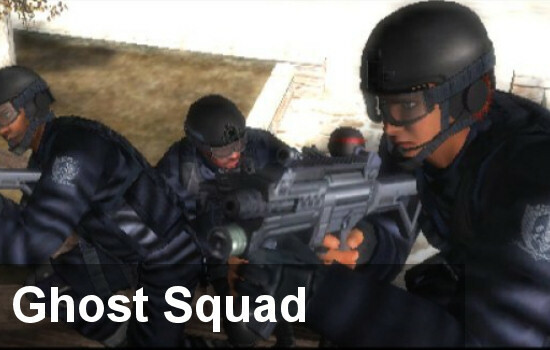 Like the aforementioned HoTD, Ghost Squad is designed to be played in a co-op mode with Wii-motes mimicking guns. There's various accessories out there that can do this, or you can simply use the Wii-mote on it's own. Either works just fine. One of the great things you can do in Ghost Squad is create a character and customize it. As you play the game you'll unlock different options and outfits for your character which you can use when playing with friends. There's really no surprises here, you have your run of the mill on rails shooter. Really only two deviations stand out. The first is the ability to choose your path at certain points in the game, whether it's disarming a bomb or saving hostages - or even choosing to go left or go right. By doing this there's a non linear nature to the game, adding to the replayability factor. After completing missions you'll see the path you chose and are given a ranking for how you did in each individual section. This allows you to plan your replay through to maximize your efforts. Co-Op is local only, which pretty much makes sense, since it allows you to high five your friends when you make that really awesome sniper shot. While playing through you'll need to communicate a bit to come up with strategies for certain parts. Usually these just involve covering different parts of the screen, while certain sniper sections involve a little more communcation for timing shots. All three scenarios with a friend should run you about 30 to 40 minutes to completion. It might not seem like much, but like we mentioned there's plenty of replayability here to keep things lively. You should be able to pick up Ghost Squad for under $20, I managed to snag the game with two Nyko SureShot accessories for less than $35 from Amazon. Just think of all the quarters you'll save by doing so. The Co-Op Experience: Play through the single player campaign in co-op or with four players in a party mode. Page created in 1.2472 seconds.